8oz. Mason Jars 1 dozen. 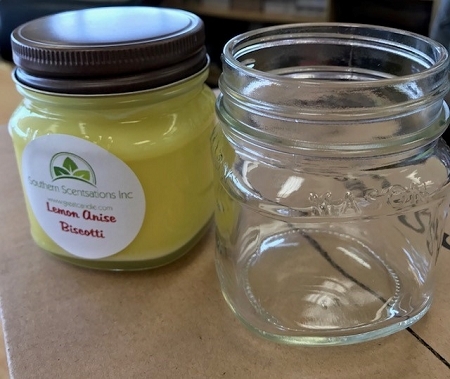 We have Gold, Pewter, or Rustic or Daisy lids that will fit the jars. These 8oz mason jars have two label ready sides. love these candle jars they are wonderful~!! !